Growing up I had several heroes. However, they weren’t your typical superheroes. I never wanted to be Wonder Woman or She-Ra; they didn’t look like me, and the heroism they displayed didn’t seem relative to my life and experiences. My super heroes were those who created me, like my mother who despite having me at 16 years old, raised me and made sure that all of my needs were met. Being that my mother was so young, I was also raised by my grandparents who were my also my superheroes. From my grandfather, Nathaniel Smith, who worked four jobs to pay off the hospital bills accumulated from my birth because he refused to allow my mother to accept government assistance. To my three grandmothers, Ruby Smith, who struggled throughout her life in Rural North Carolina but despite the struggle put her family first and was committed to helping others before considering herself. My other grandmother, Mary Smith, who no one would ever know was not my “natural” grandmother but made a conscientious choice to love me regardless of DNA. My grandmother Mary drove me as a jaundiced infant from the hospital on her chest, undoubtedly humming some sweet song as she brought me home for the first time. Last but not least was my paternal grandmother Hattie Turner, who was the perfect combination of class, sass, style, heart, and soul. Her commitment to her community and her desire for the advancement of others inspires me to this day. My vibrant 88-year old Grandmother Hattie Turner suffered from a cerebral aneurysm1-3 and a subsequent subarachnoid hemorrhage.4,5 Both her body and mind were devastated by this brain bleed, and she went from living alone to requiring 24 hours, seven days/week care. Being that my father, aunt, and uncle (my grandmothers only remaining children) lived across the country the blessing of being able to care for her fell to me, and despite several challenges, we were able to make it work. Once my grandmother was home we obtained homecare services for her which included several therapies as my grandmother has lost the ability to walk without devices and was aphasic. It appeared that my grandmother was uninterested in participating in therapy and it was a frustrating time for us all, as my grandmother was unable to communicate fully. We soon began to realize that my grandmother wasn’t just refusing to participate in the physical aspects of her therapies but due to arthritic pain was unable to and after about a month of a lack of progress and attempting to utilize OTCs and analgesics I remembered that my grandmother told me that she would have to take a bath and ‘smoke a joint’ in order to start her day and to be mobile when her arthritis would flare up. How Did you Begin to Incorporate Cannabis in your Grandmother’s Treatment Plan? I began putting my grandmother in the shower allowing the water to run over her joints directly and she and her caregiver shared a joint before the therapist coming and within days my grandmother was ambulatory with the use of her walker. This woman, with the use of cannabis, was able to regain some of her independence, dignity, and pride and she was back visiting her church, going to her favorite restaurant with us and interacting with her friends and family in a way she hadn’t been able to in the months since an aneurysm. My grandmother ultimately suffered from a final massive stroke and passed away almost a year to the day following her aneurysm but, I am proud to say that she had QUALITY of life with minimal pain during the last year on earth, and was able to be at home with her family until her death, I attribute a large portion of that to Cannabis. 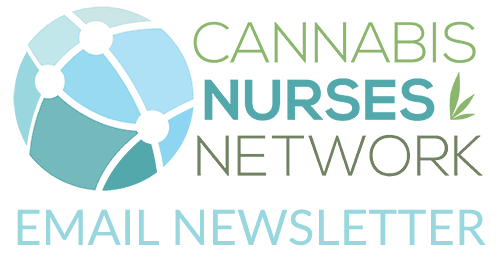 How did the Success of Cannabis in your Heroes’ Lives Impact your Nursing Profession? Before my Grandma Hattie passing, I lost both my grandfather and Grandma Ruby to cancer, and in 2015, I lost my Grandma Mary to cancer as well. So, my heroes were gone, but they inspired me to become more knowledgeable about Cannabis after seeing how it had changed things for the better with my grandmother Hattie. Despite her physical and communication limitations, I was able to incorporate her desire to medicate with Cannabis into her activities of daily living (ADLs). I witnessed the pain relieving, and mood elevating effect Cannabis had on my Grandma Hattie and wanted to be able to share this information with knowledge and insight. Around the same time, I had a friend who suggested that I look into opening a dispensary and thought that since I was a Registered Nurse, I would be awarded one. But I knew that being a woman of color, it would be more difficult for me to be able to enter the industry than some of my white, male counterparts so I decided it would be beneficial to learn all that I could about Cannabis. I began attending Northeastern Institute of Cannabis’ 12 Course Cannabis Competency Program.6 Soon after, I learned of a professional Women’s Networking Organization, started attending their monthly networking event, and began building a community in Connecticut (CT), a Medical Cannabis Only state. I realized that individuals were certified to participate in the MMP and introduced to the dispensary model by knowledgeable pharmacists and pharmacy technicians but patients, especially those new to Cannabis consumption, were in need of ongoing education, support, and assistance. Both dispensary pharmacists and MMP Physicians all agreed that due to limitations, like patient’s inability to consume on dispensary or evaluation clinics grounds, it was difficult to fully engage with patients and instruct them in regards to consumption in a practical manner. In the world of healthcare that is considered a “care gap,” which is a disparity between healthcare needs and access or availability of healthcare services and I quickly began endeavoring to close these gaps. 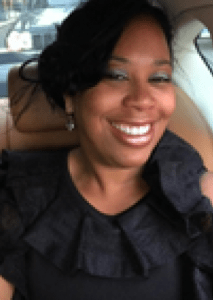 How are you as a Cannabis Nurse Bridging the Gap? In July of 2017, with my partners Lynne Kravitz-Singley, RN, and Gayle Klein, MD (our medical director, and a certifying Medical Marijuana Physician here in CT) we launched CannaHealth, a full spectrum Cannabis Health and Wellness Center. Like other Cannabis practices, we offer Medical Marijuana Evaluations, by Medical Marijuana Certifying Physicians and APRN’s, but unlike other practices, we don’t stop there. 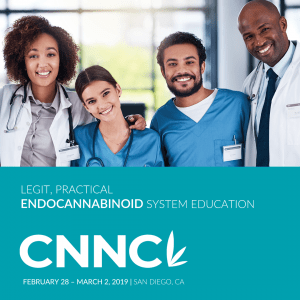 We provide ongoing education, support, training, and our practitioners work in conjunction with our patient’s primary care or specialty physicians to determine the most comprehensive plan of care for each patient and assist with the tapering of medications (if appropriate) as we begin treating with Cannabis. We provide 24/7 On-call support from Cannabis Nurses, via our CannaHealth app and as an added benefit through our concierge medicine option offer in-home instruction and education with options for weekly, monthly or as needed Cannabis Support Visits (CSV’s). During our CSVs we can assist with strain matching, where we find Cannabis strains that effectively target identified symptoms, and educate patients regarding the various methods of consumption to assure that they find the right consumption method for them. Also, we offer individual and group counseling, as well as classes that range from Seasonal Cannabis Cooking classes to classes introducing the Endocannabinoid System (eCS). My Heroes changed my life, the lives of their families and those in their communities. I am far from a hero, but as Cannabis Nurses we are afforded the opportunity to change lives in a natural, holistic way, that encourages patients to be their advocates and provides them with the ability to make informed decisions about their health and treatment options, so although we may not be heroic, I can proudly say that my role as a Cannabis Nurse is an honourable one, because I am finally able to return the power to choose to the patient, the real heroes of the story.